CHANGES TO THE Canadian Wheat Board (CWB) provoked dire predictions from some about the future of the industry in this country. Although there have been some hiccups during the transition, the overall picture generally appears rosy for the Canadian wheat brand. No one could say for sure how the end of the CWB’s 69 year monopsony last year would affect the industry as a whole and it is still widely expected that it is too early to say who has benefited from the decision. However, preliminary anecdotal assessments of how the industry has adapted so far favour cautious optimism about the industry’s virility in the face of some transitional adversities. Andy Wilder of Parrish and Heimbecker, for example, is clear that the biggest impact in his corner of the marketplace is in the way negotiations with end-use buyers are changing. Wilder says flour consumers have always hung their hats on the block conversion they could negotiate with millers, but the new trade atmosphere has rendered a once trusty business model completely useless. “With the single desk CWB now a thing of the past, the price of wheat is now another variable factor going into the price of flour, rendering block conversions meaningless because we have no way in Canada to track cash wheat values,” Wilder explains. Block conversions, according to Wilder, can be thought of as something like a tolling fee that took into account the flour yield, inbound freight costs and the cost to mill the wheat into flour. Buyers would use that formula and plug in the wheat basis published daily by the CWB and the value of wheat midds – and out from that formula would come a flour cost. In the past, Wilder says knowing that the cost of wheat would be the same for all millers on any given day as published by the CWB, it allowed flour buyers to essentially evaluate mill efficiency and make their purchase decisions almost solely on block conversion data. But he is not suggesting we need to establish another government agency to start tracking wheat prices so buyers can keep using this tool they used to rely on so heavily. Wheat has to be priced so there is a share in it for everyone in order to be sustainable Austin says, especially now that the market is open because the wheat will go wherever the market is. 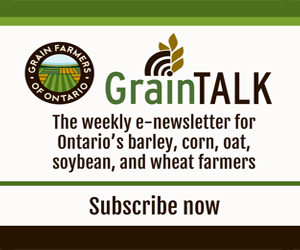 So far, he says they are not seeing any significant change in the amount of western wheat coming into the Ontario milling market and he points out that many millers need the protein content of western wheat to blend with eastern wheat for some uses. “It comes down to working with the customers to ensure that the quality of grain is what they’re looking for,” says Austin. Earl Geddes, CEO of the Canadian International Grains Institute (CIGI), says one thing that may have seemed to change is the volume of quality complaints, particularly from overseas customers. In reality, Geddes does not believe there has been a significant increase in complaints, just an increase in the number of people who handle them. Before August 1, 2012, all complaints were directed to the CWB, who redirected them to either CIGI or the Canadian Grain Commission based on the nature of the complaint. “Complaints had never been this visible before,” says Geddes, “and that may be the part that surprised a lot of people.” But Geddes wasn’t surprised. He says CIGI anticipated this could pose an area of concern for the industry and started offering training to export companies well before proposed changes came into effect. Geddes says quality complaints last year basically fell into three classes. The first group of customers were simply complaining to see if a little squeaking would earn any grease by way of cost reductions, which is always happening in every retail industry. The second group of customers were those with legitimate complaints that resulted from weather conditions or varietal blending and there were not any more or any fewer of these than an average year. The only type of complaint which perhaps seemed to be more prevalent was from customers who received grain fresh from the field for the first time. In the past, the CWB would blend old and new crop wheat so that the protein in grain was at least a year old and therefore fully developed for customers sensitive to unstable proteins. Some exporters were not prepared for this. More importantly though, Geddes points out that trade volumes were not impacted by these minor transitional issues and the industry has completely avoided the chaos some customers feared after witnessing the dismantling of the Australia Wheat Board. Geddes says we have really demonstrated an advantage in having the Canadian Grain Commission and CIGI as independent institutions and can provide consumer confidence in the same quality assurance and customer care that is associated with Canadian wheat.